Tuesday (Peterson a pawn in NFL-NFLPA game) edition: Wha' Happened? First off: There’s no need to feel sorry for Adrian Peterson. He put himself in this mess with what many people would consider a malicious and criminal act against his 4-year-old son. He’s missed 9 games this season but has made more during that span than almost every one of us will make in a lifetime. 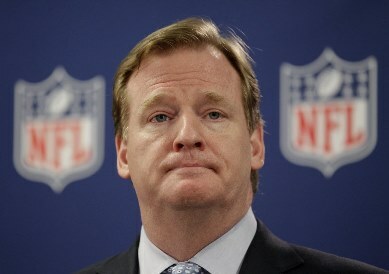 However: With the NFL and Roger Goodell’s announcement today that Peterson has been suspended without pay for the rest of the season, the league’s statement regarding that suspension, and the NFLPA’s subsequent response, it has become even more abundantly clear that this has become less and less about Peterson’s situation itself and more and more about the power struggle between the league and players’ association. The NFL is probably over-correcting after facing a public backlash for being too soft in punishment of players over the years. The NFLPA is saying they’re not playing by the rules; the NFL is saying it can make whatever rules it wants. The key part of the NFLPA statement: The decision by the NFL to suspend Adrian Peterson is another example of the credibility gap that exists between the agreements they make and the actions they take. Since Adrian’s legal matter was adjudicated, the NFL has ignored their obligations and attempted to impose a new and arbitrary disciplinary proceeding. … We call on the NFL Management Council to show our players and our sponsors leadership by committing to collective bargaining so a fair personal conduct policy can be implemented as quickly as possible. The NFLPA is, of course, appealing the suspension. But we have to imagine Peterson will, in fact, miss the rest of the season — and that he has played his final game for the Vikings already. If that’s the case, again, we don’t feel sorry for Peterson. He brought this whole chain of events on himself. But it’s clear the big picture is much larger than just him.